Established in late 2002, Crush is an amalgamation of talent, diversity and attitude that truly make this band “Canada’s Ultimate Tribute” to BON JOVI. 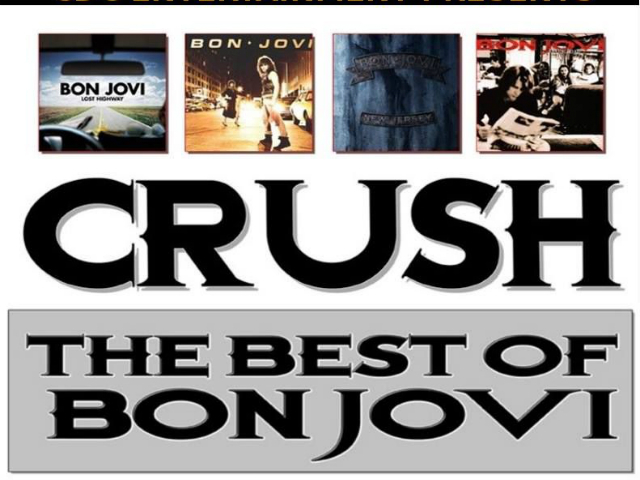 Crush brings a newly revitalized spirit to their audiences and provides music that spans over 25 years of BON JOVI history. Their show and their sound are set to please not only the die-hard BON JOVI fans, but also captivates new audiences young and old. From the first self titled album released in 1984 to the recent crossover album, Lost Highway, released in 2007, Crush have chosen songs that range from number one chart topping singles to some rare songs that even BON JOVI themselves haven’t played in decades.